Welcome back everyone! A lot of you have written to me asking for tips on finding the perfect venue, so I caught up for coffee with the lead wedding planner of My Wedding Planning, Ms Ruchita Parelkar and asked her the insider secrets and tricks of finding the perfect wedding venue. In my opinion, one of the first things you’ll think about after you’ve gotten engaged (beyond your lehenga of course ;)) is finding your wedding venue. Finding a good venue was my main concern when I was getting married. In my opinion, a perfect venue forms the backdrop to a perfect wedding ceremony. During my wedding planning process I realized that choosing a perfect venue can be very tricky. The venue you choose should not only be a place you totally love but also meet with all your event requirements. Over a few hours of discussion, Ruchita and I have listed some of the most important things you need to keep in mind when touring a wedding venue. Hope this helps! Happy planning guys! The style of your venue can be a total showstopper, so choose wisely! Hunt for a venue that matches your sense of style. If you love royal romance, hunt for a venue that has chandeliers or regal art deco or opulent paintings and 5 star services. Grand Ballrooms, Forts and Palaces can be a perfect fit. If you love tropical splendour, try getting a venue with a sea view. If you like garden grandeur, why not opt for outdoor hotel lawns or farm houses. If you dream of vintage glam, a vineyard is a perfect venue choice. If you love adventure, dare to get married at an adventure park, national park or forest reserve. The venue should reflect your sense of style! What should you look for in your reception site (aside from that sense of rightness you know you’ll have the moment you see the perfect spot)? It sounds obvious but make sure the room is large enough to accommodate the number of people on your guest list. Are you hosting a small intimate gathering or a big fat Indian wedding? If you’re looking at a big guest list then space is your number one consideration. The space may look enormous when it’s empty, but wedding essentials — tables, chairs, a buffet, a bar, the band or DJ setup, the dance floor — can take up a lot of space. Not to mention your guests will need some elbow room. Even if you choose an outdoor site, you’ll need ample room on the lawn or poolside. Ask to take a peek of the space when another wedding (with an equivalent guest list size) is all set up to assess the space of the venue after it is fully set up. TIP: If you have a large guest list, find out what is the maximum capacity of all the venues you have shortlisted. The one that accommodates the most number of people may be an ideal choice; irrespective of the one you like the best. You may also want to drop by for a peek when the venue is hosting an event with the same guest list size. Visit your venue personally before finalising it instead of depending on your event planner, friend or relative. Generally speaking the amount you spend on the venue and accommodation should not exceed more than 60% of your wedding budget. Consider all the venues you love that fit in to your budget. If you love a wedding venue that is a bit more expensive than your allocated budget, you can cut down a bit on decor and other vendors. Another option is to pick an off-peak-season wedding date. 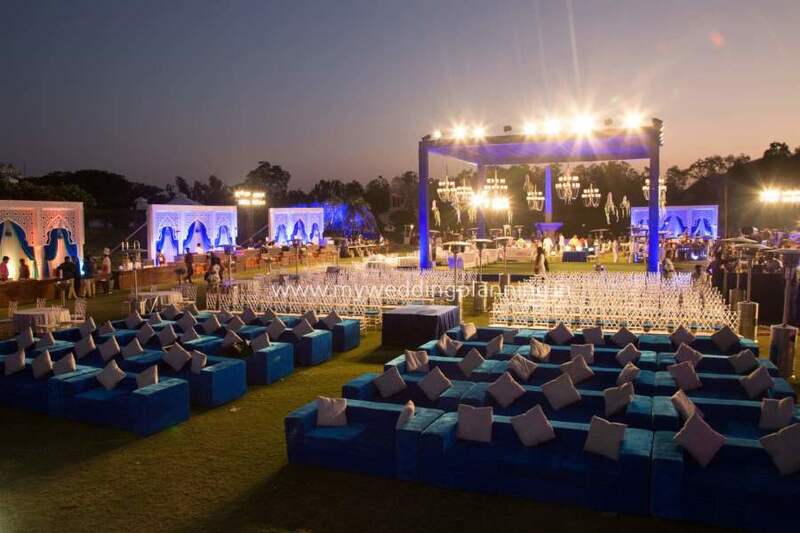 Alternatively, think out of the box, and find a similar location that can create an identical ambience as that of your favourite venue if it’s on the higher side. Commonly used venues are often overpriced. This is especially true for small towns which have fewer options. Try to look for some alternative wedding venues that are not used typically for weddings instead of these overpriced hotels and banquets. You may get a great deal there. Once you’ve found the perfect venue, all the rest of those wedding day details (colour, style, decor etc.) should fall into place. The choice of venue will have a big influence on your decor. A temple wedding, a beach venue with a sweeping view of the ocean, a hotel ballroom-each calls for different decor, and there may be rules and regulations that limit what can be used to decorate and how. Once you have decided on your venue type, browse wedding magazines and wedding websites to get ideas on how to personalize the space. In a temple, church, banquet hall or private residence, your decor can highlight –or totally transform-the look of your venue. Indoor venues are usually less expensive to decorate. Honestly, it is more expensive to decorate an outdoor venue. But the good news is that if you opt for the right kind of decor, there is nothing more alluring than attending a wedding in an open space. Banquet halls and hotels often hold more than one affair at a time. If there’ll be other events going on simultaneously in rooms close to yours, many more cars will be parked in the parking lot and many people will be using the lift and pre function area. If this bothers you, try to schedule your wedding when there won’t be another one next door. If that’s not possible, visit the site on a dual-party night and see how the sound carries and whether there really are any major people problems — before you make a decision. Light can make or break the mood and the space. If you’re marrying during the day, make sure your hall has plenty of windows and allows natural light to enter. If it’s an evening affair, make sure the room’s not too dim or that the lighting can be controlled for the big entrance, dinner, and dancing. If you’re marrying outdoors, say, at dusk, will there be sufficient lighting provided by the venue? Visit the site at the same time of day that you’ve chosen for your wedding. Even if the space looks romantic by candlelight, you may be surprised by the sight of that 10-year-old dingy carpet during the day. What will your guests see when they walk into the room? Whether it’s your city skyline, a stunning vista of rolling mountains beyond the windows, or the crashing sea on the sand behind you, exceptional locations with a view are always a plus. 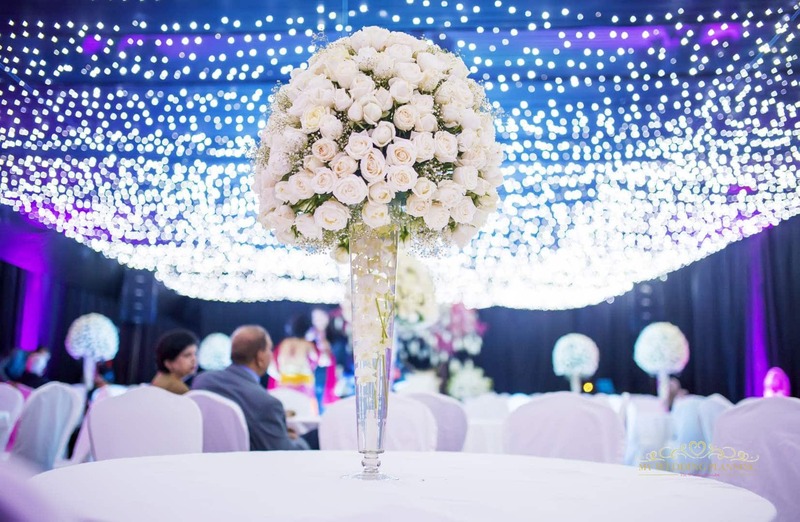 If there’s no view per se, look to a place’s decor or architectural details: artwork on the walls, ornate decorative wall-to-wall carpets, furniture in the corners, or an amazing crystal chandelier as the room’s centrepiece to give your reception site that something extra. Take into consideration the sound and acoustics of the venue, the space allotted for parking cars and convenience for the guests attending. PreviousPrevious post:5 Reasons you should have a Destination WeddingNextNext post:How to plan a budget wedding?